When your offices look shabby, your rest rooms need a facelift, or if your building exterior is outdated, potential clients won’t take you seriously. To become a real leader in your industry, your commercial space must lead the way in design and style! Isn’t it time that you consider an upgrade to that all-important business space and give it a facelift designed to showcase what your business has to offer? Whether you are looking to build out new offices, or simply remodel a conference room, the commercial remodeling specialists at Universal Renovations are ready to create a space designed to impress even the toughest client. Today’s modern office buildings are more than a place to hold meetings or house products. Schools, restaurants, medical buildings, government offices, and even religious structures all need to look a certain way to earn a potential client’s trust. The look and feel of your building tells a lot about you as a company or business. It can become a showplace that highlights your company’s style, standards, and add value. If your building lacks the luster to pull clients in, consider a quality commercial remolding project. It may be one of the best ways to make the kind of lasting impression that will draw in more business. Every commercial remodeling project comes with its own challenges. Trying to run a business is hard enough, you certainly don’t have the time to micro-manage that remodeling project too. Let us handle the ins and outs of even the largest project. 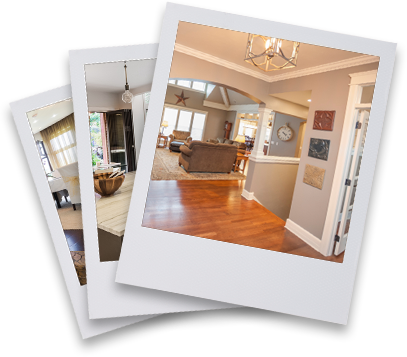 When you enlist the expertise of Universal Renovations, you are guaranteed the most trusted renovation contractor team in the Midwest. Qualified to handle every aspect of your project, our crew of experienced professionals are ready to manage your project from start to finish. 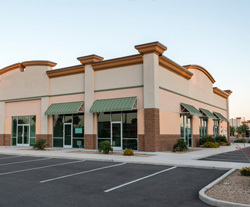 Project Exploration: not sure what type of project will give you the commercial space you want? Our design experts can help you figure out exactly what needs to be done. Project Management: our staff will coordinate every milestone of the project, ensuring that it is handled with expert care. Pre-Construction: we take care of everything before construction begins including demolition, permits, electrical and plumbing, etc. Construction: our builders are industry experts with a combined 51 years of experience. Post Construction: don’t worry about clean-up – our crew takes care of that too! Serving the Omaha, Bellevue, Lincoln, Springfield, Fremont and North Blair, Nebraska communities for more than 51 years, the team at Universal Renovations has the experience and the know-how to rebuild your offices, update your buildings exteriors, renovate those restrooms and create a commercial space that your tenants, clients and staff cannot help but notice. From concept and design, to construction and clean-up, we are there to get your project completed on time – and on budget. Want to learn more about all of the commercial remodeling and renovation services we offer at Universal Renovations? Contact our office today for a free consultation and estimate. We service the Nebraska area, as well as the entire Midwest.